Mercury is a very elusive planet. Being the first from the sun, it is never far from that globe's scorching rays and appears only briefly in the morning or evening sky. 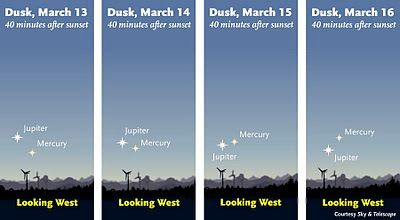 This March Mercury is very well positioned for viewing in the early evening sky, so you don't even have to get up early to see it. Adding to the ease in identifying it is the fact that it will only be 2 degrees from very bright Jupiter on March 14 and 15, when the two are closest together. 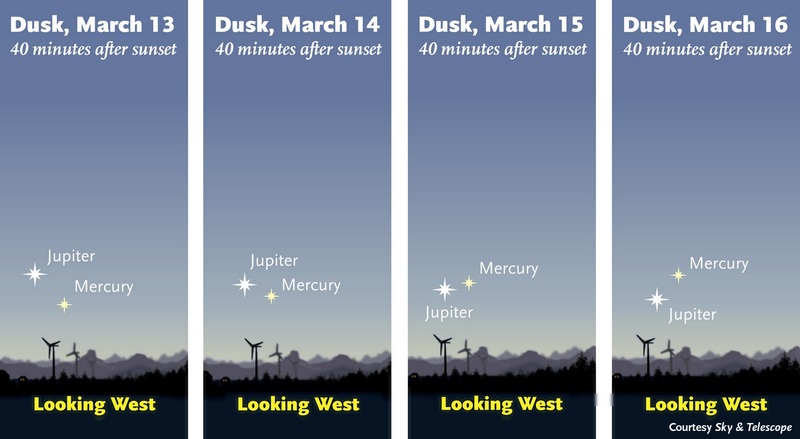 Beginning on March 13 and continuing through March 16 you should be able to see Mercury and Jupiter together with the naked eye, starting around 40 minutes after sunset and continuing until Mercury sets about an hour later. 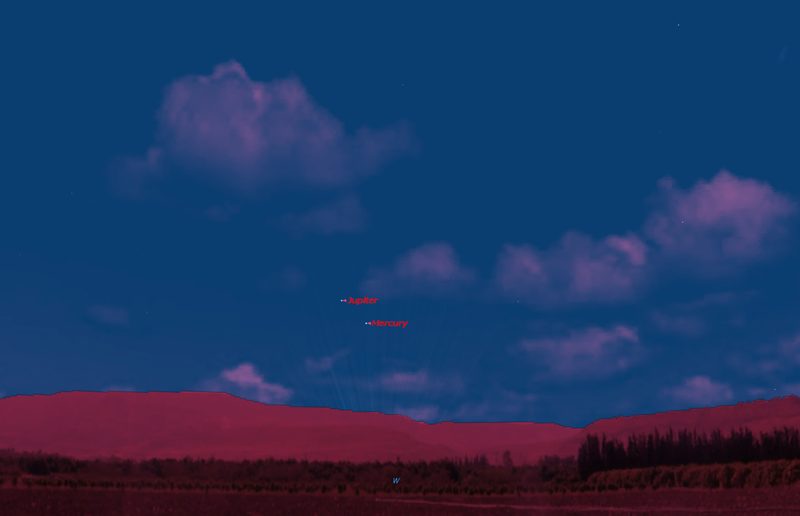 You will need a very clear western horizon, since both planets will be quite low in the sky. Jupiter will be around magnitude -2 and Mercury around magnitude -1, both very bright. On March 14 and 15 the two planets will be only around 2 degrees apart, the angle of sky subtended by your thumb held at arm's length. 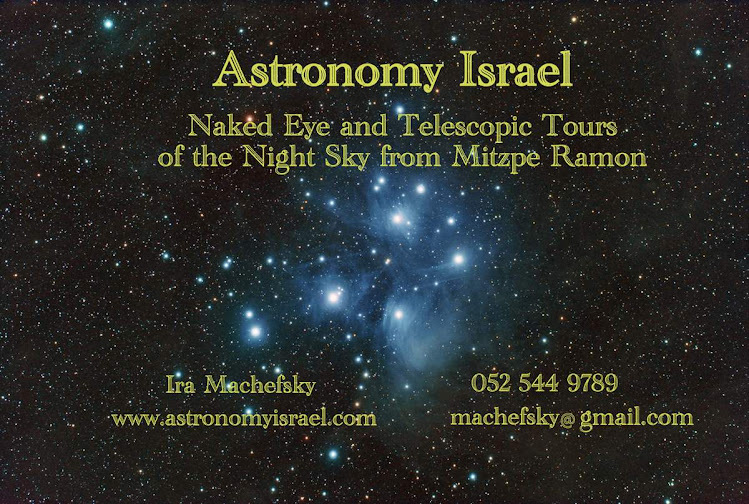 Don't miss this opportunity to see what even Copernicus himself never saw, the planet Mercury.